Contact us today for more information regarding our used and new marine salvage sale items. Strike Marine Salvage Sales, Inc. 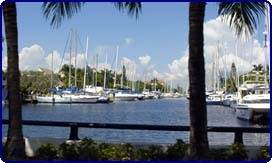 Please see the marine links below for information of the Fort Lauderdale and south Florida marine community. Contact Us for more information regarding marine parts and equipment for sale. Please Note: Strike Marine Services, Inc. is not resposible for the content or business practices of these web sites. Thousands of Used and New Marine Items for Sale! Follow us on Pinterest or Google+. © Strike Marine Salvage Sales, Inc. All Rights Reserved.